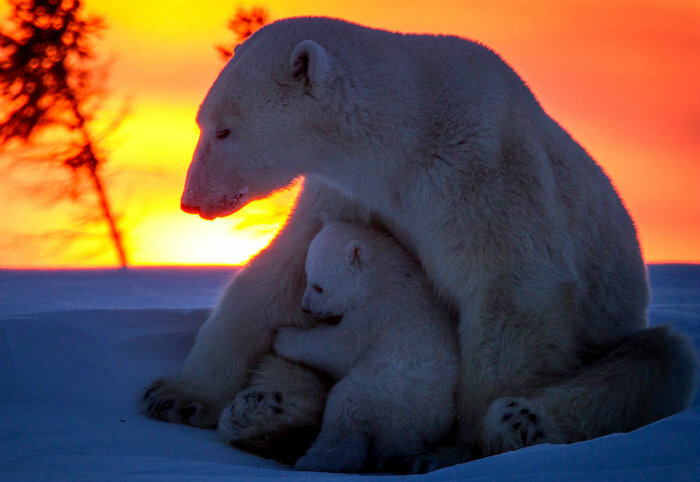 Sixty-to-eighty percent of the world’s polar bear population lives in Canada. Total world population is estimated at between 25,000-31,000. Climate change may cause the existing population to decrease by up to 30% by 2050, according to some estimates. Habitat incursions by oil exploration companies, along with pollution are additional threats.